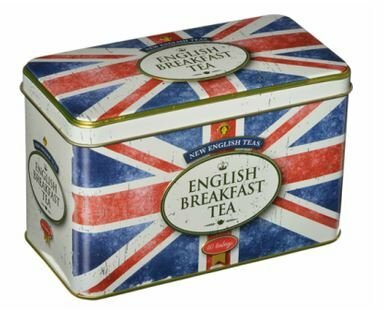 A vintage "distressed" union jack design tea tin with embossed detail, containing 40 English breakfast teabags. A vibrant, full flavour blend of black teas, ideal at breakfast time or during the day. Ideal as presents and lasting memories of England's favourite teas. If you have any questions about this product by New English Teas, contact us by completing and submitting the form below. If you are looking for a specif part number, please include it with your message.